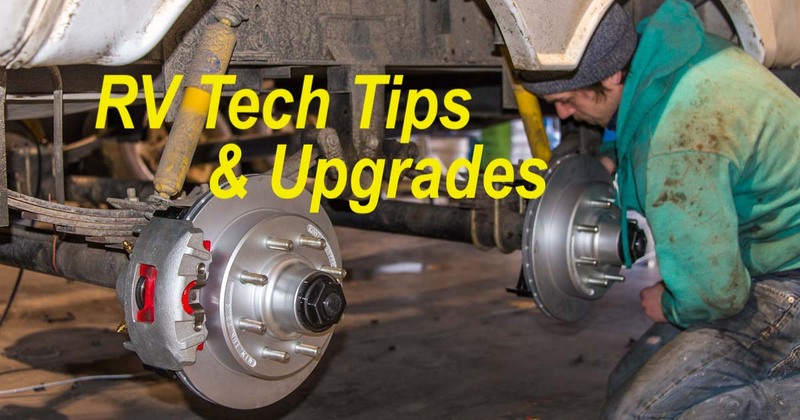 RV Tech Tips – RV Upgrades – RV Maintenance Tips + Buying an RV! This page contains links to all the articles we’ve written about our favorite RV tech tips and that describe the many RV upgrades and modifications we’ve done to our rig. 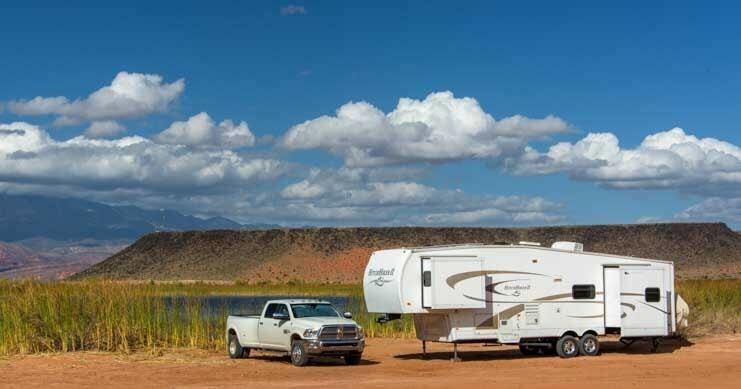 In addition, there are articles full of important RV maintenance tips as well as suggestions for things to consider when choosing and buying an RV. From little RV maintenance tech tips to big RV upgrades, the article links are all on this page! Ever since we began this website back in 2008 (after being on the road RVing full-time for a year), we have written lots of articles that are chock full of the many RV tech tips we’ve learned along the way. Below you’ll find all the article links, grouped by subject, to make it easy for you to peruse our online library of RV tech tips, RV maintenance tips, modification ideas and RV upgrades. For reference, you can see the various rigs we’ve owned, both for vacation purposes (before we started full-timing) and then for living in 24/7/365 once we took the plunge to go full-time. Learn About RVing in a Cheap Small RV – New to RVing? Don’t break the bank on your first RV! What are the Most Important Features in a Full-time 5th Wheel? – After 10 years in our fifth wheel, here are our thoughts. How to Defrost the RV Fridge in 20 Minutes – There’s an art to defrosting! RV Dump Station Tips – Doing the Dirty Deed doesn’t have to be dirty! RV Dump Tips for Women – What’s a Girl to do at the RV Dump Station? Repacking and Inspecting Trailer Wheel Bearings – Tips for this important annual maintenance task. How to Weigh Your RV – What is your rig’s current Gross Vehicle Weight (GVW)? Is it LESS than the GVWR??!! Cleaning RV Faucets, Shower Wands and Drains – Avoid putting toxic chemicals in the RV holding tank and dump station! How to Drive an RV in the Mountains – Tips for towing a big trailer through the Rockies. Most tips apply to motorhomes too. Trailer Disc Brake Conversion – Unlike standard electric drum brakes, electric over hydraulic disc brakes stop on a dime! 5th Wheel Trailer Suspension Overhaul – Replacing the shocks and springs and moving the hangers too! RV Screen Door Modifications – Strengthen, winterize and puppy-proof your RV screen door! How to HEAT an RV in a Blizzard – Staying warm in a temperate climate is one thing, being toasty in a blizzard is another! Bike Rack from Kuat – Carrying bikes on the back? A solid and well designed bike rack keeps them from getting damaged! RV Electrical System Upgrade – Overview of batteries, converter and inverter we upgraded to after 8 years off-the-grid…and WHY! Power Inverters – Selection & Installation – What to look for in a power inverter for “house-like” off-grid RV living on 12 volts. Buying a Truck – Things to consider: Which Make & Model? Single Rear Wheel or Dually? Long Bed or Short Bed? How to Change the Inner Rear Wheel of a Dually Truck – Hopefully this will never happen to you! You can find this page again by clicking on the “Tech Tips” item in the menu. RVing is easy and fun! This entry was posted in RV & Boat Projects & Upgrades and tagged New, Non-Travel by Roads Less Traveled. Bookmark the permalink.